We have a strict recruitment policy and training procedures which we follow. We aim to ensure that all employees are in possession of the knowledge, skills and experience necessary to perform their job to a satisfactory standard. We treat all staff equally despite their beliefs, gender and race. We aim to provide a work environment in which each individual’s contribution is recognised. ERH appreciates all employees and we will ensure they receive compliments from the organisation appreciating their good work or strength. We aim to provide the same staff all the time to ensure continuity in care and we are available 24/7 to cover long term, short term and unexpected staff shortages. We provide you with staff profiles prior to commencement of shifts and will get feedback from you after each member of our staff on an on-going basis. We are available 24 hours a day, 7 days a week to meet your staffing requirements. We operate an “on call” service for out of hour’s shifts and other issues. We aim to ensure that all employees are in possession of the knowledge, skills and experience necessary to perform their job to a satisfactory standard. 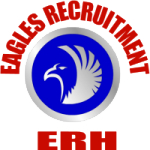 Eagles Recruitment and Healthcare is a Recruitment agency that provides experienced and well trained support workers, care assistants, therapeutic support workers and qualified nurses. We have a singular purpose to provide outstanding care and service to all of our clients and workers. We specialise in providing experienced registered Nurses (RMN’s, RNLD’s and RGNs), support workers and health care assistants to hostels, children’s homes, secure hospitals, acute admission wards, prisons, rehabilitation centres, supported living, special needs schools, case management companies, residential and nursing homes across the country. Eagles Recruitment and Healthcare is also registered with the Care Quality Commission and is able to provide domicilliary care and live in care services for local authority and private clients. We are committed in supplying experienced staff who are dedicated in carrying out their duties in a responsible and professional manner at all times.